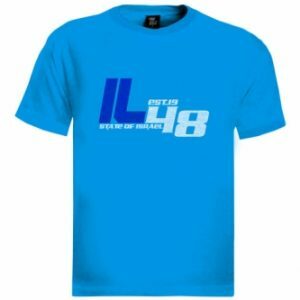 Op de voorkant van het T-shirt staat in het Engels “I Love TLV”, daarboven staat de naam Tel Aviv in het Hebreeuws. 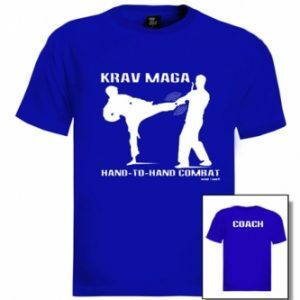 Een grappig Joods cadeau voor vrienden of familie met gevoel voor humor. 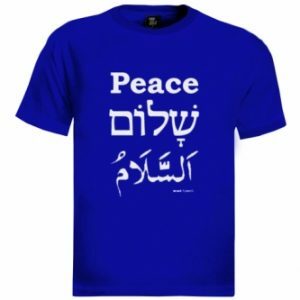 Symbool voor het leven in Israël: het woord "Vrede" in het Hebreeuws, Engels en Arabisch. 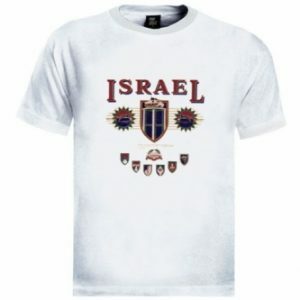 Dit is een heel mooi Israëlisch T-shirt met een combinatie van thema's uit het Israëlisch Defensieleger IDF, voornamelijk van het Pantserkorps. The beautiful typography says “I Love TLV” in both Hebrew and English. 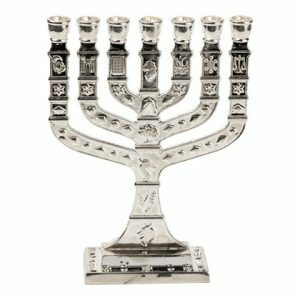 This is a beautiful silver coloured 7 branched menorah depicting the 12 tribes of Israel. 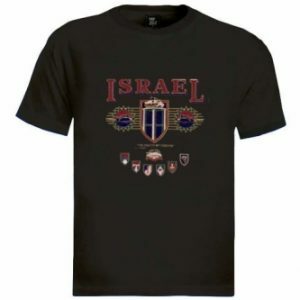 This beautiful Israeli t-Shirt, combines motifs and emblems of different units in the Israeli Defense Forces, especially the Armored Corps. 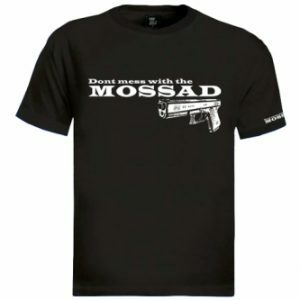 This t-shirt warns you: ''Don't mess with the MOSSAD'' with an image of a handgun emphasizing the text. 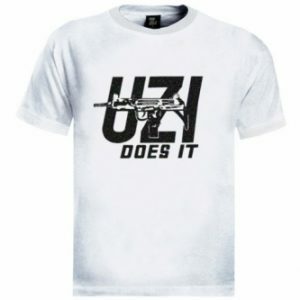 Motto is repeated on the sleeve. White print highlighted on black. Jerusalem is a holy city revered by Jews, Christians and Muslims. 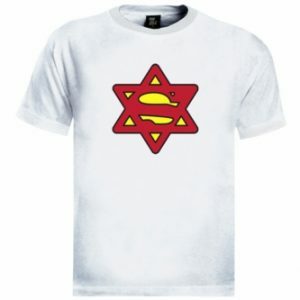 It is one of the most beautiful cities in the world, as reflected in this t-shirt. 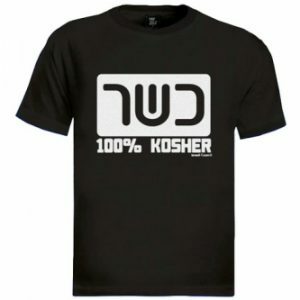 Die Grafik auf der Vorderseite des T-Shirt sagen, ich liebe TLV in Englisch, geschrieben am Anfang ist das Wort Tel Aviv in hebräischer Sprache. 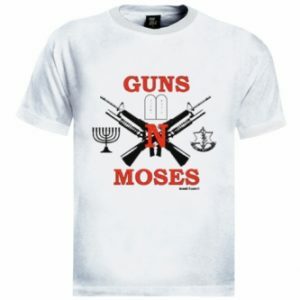 Eine Parodie einer amerikanischen Hard-Rock-Band, das Guns 'n Moses T-Shirt verkörpert den einzigartigen Geist von Israel.